It’s tempting to skip straight to dessert at The Pantry Manly, because any place that serves banoffee pie automatically gets a tick in my books. It’s a heavenly triangle that forms a point, much like a cupid’s arrow to my heart. A crumbly biscuit base, a thick layer of caramel and sliced banana, and swaddles of luscious cream and chocolate shavings on top. Put a ring on me, I’m in love. But first, a proper meal. We’re sitting right on the water’s edge of Manly Beach, so a surf-studded menu is in order. The too-good-to-be-true sea views demand a half-dozen Sydney rock oysters to match, followed by a rainbow of tuna tataki, beetroot, edamame and a ginger-y soy dressing. If you’re a mornay fan, you can up the entreé ante with baked Harvey Bay scallops with manchego cheese and a jamon crumb. It’s hard to know where to look for the mains. Pasta? Fish? Brisket? 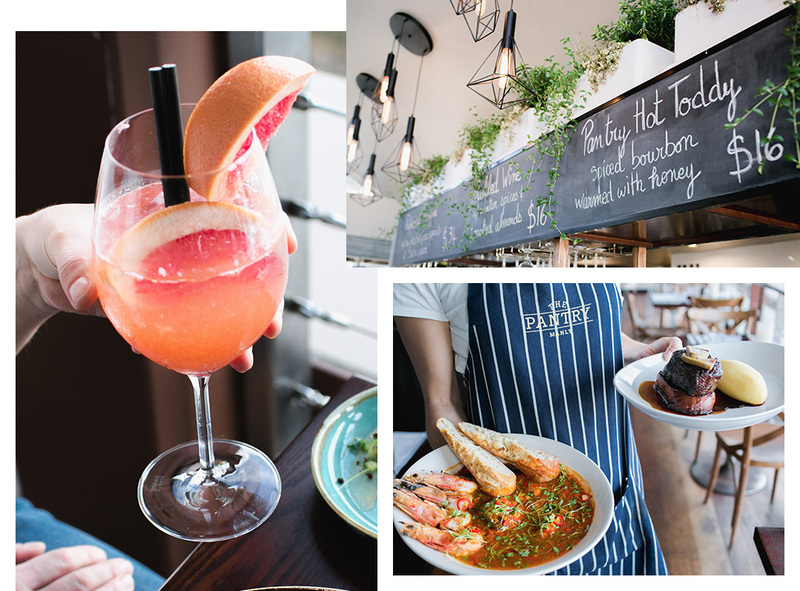 We keep the sea-theme going strong with the prawn and spanner crab spaghettini, crunchy with pangritata; a vibrant green pea risotto with seared scallops; and this bowl-hugging winter warmer: a grilled king prawn, saffron and tomato soup. Kinda like a bouillabaisse, but fresher and more ‘Strayan. And bless them, so is the wine list. Most vino on offer comes from our sunburnt country, with some notable appearances from our New Zealand cousins. Committed to that Dry July/Sober October? There’s a solid selection of virgin cocktails so you can teetotal in style (virgin mimosa, yes please). Best of all, The Pantry Manly is a solid option, whether you’re here for a date, your mates or your mum. On this side of the city, it’s a sure-fire place if you’re keen for a long time and a good time. Editor's note: this article was produced in partnership with Pewsey Vale Vineyard. Thank you for supporting the partners who make The Urban List possible. To read our editorial policy, click here.